WASHINGTON – Peace Corps Director Jody Olsen joined USAID Counselor Chris Milligan to commemorate the 35th anniversary of the Small Project Assistance (SPA) Program. The joint collaboration has supported more than 25,000 projects and 2,800 training activities in 116 countries over the past three decades. 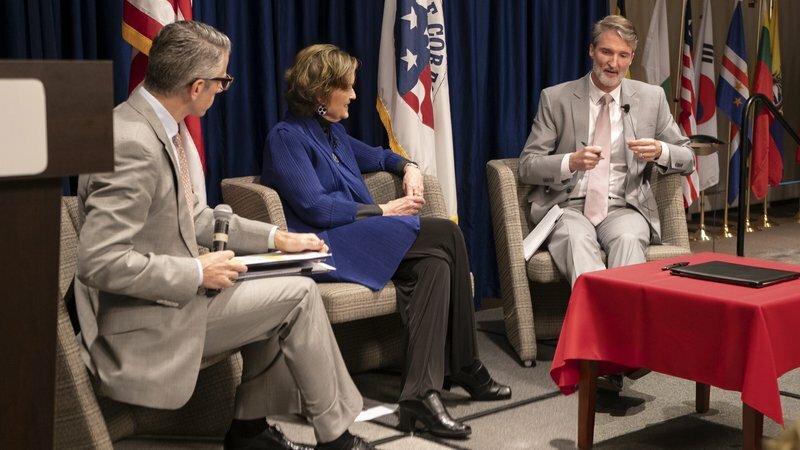 On Monday, at a co-hosted event held at Peace Corps headquarters, Director Olsen shared success stories and the results of a new, jointly-funded external report that evaluated the program’s effectiveness. Peace Corps Director Jody Olsen joined USAID Counselor Chris Milligan to commemorate the 35th anniversary of the Small Project Assistance (SPA) Program. Nearly $76 million in USAID funds, the service of thousands of Peace Corps Volunteers, and the contributions of millions of community stakeholders have enabled the SPA Program to support community development projects tailored to reflect local development priorities across 116 countries. Projects take place across all Peace Corps sectors, including agriculture, economic development, education, environment, health and youth development. The average SPA project is supported by community contributions that total over 40 percent of project costs, demonstrating a built-in level of local investment and ownership. In an average year, over 275,000 community members worldwide participate in more than 500 SPA grant projects. These projects and trainings provide valuable skills and knowledge transfer that empower communities to find innovative, local solutions to their development needs. According to the external SPA Program evaluation, over 70 percent of communities independently maintain projects after a grant has ended, and nearly 30 percent expand upon the project through new development efforts. The evaluation findings affirm the program's long-term, sustainable impact in communities around the world. Learn more about SPA projects here.